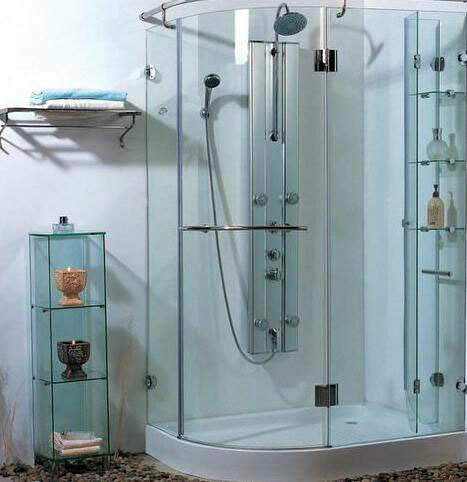 Tempered glass is made by heating flat glass to approach its softning temperature and suddenly chilling it with jets of cold air,which produces highly desirable conditions of induced stress which result in additonal strenth,resistance to thermal stress,and impact resistance. 4.tempered glass can be printed with special logo and pattern with enamel silkscreening. 1) Material: 4-19mm float glass. 2) Usage: Coffee and dining tables, cabinets, displays, CD shelves , TV tables and bathroom shelf.